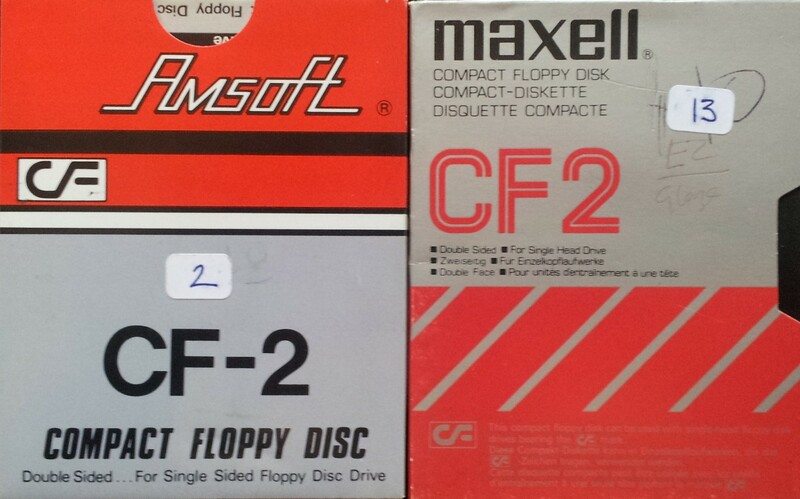 A pair of CF2 disks awaiting conversion to Word .doc files. The disks were previously used in an Amstrad Word Processor/Computer in the 1990's. They were double sided discs for use in single headed drives - each sided written to separately and the files would have been saved in Locoscript format. This is an old type of file so we converted them to Microsoft Word so they can be edited and viewed easily on modern computers. If you need a Convert Amstrad CF2 disk to Microsoft Word service, then contact our friendly company. A pair of CF2 disks awaiting conversion to Word .doc files. The disks were previously used in an Amstrad Word Processor/Computer in the 1990's. They were double sided discs for use in single headed drives - each sided written to separately and the files would have been saved in Locoscript format. This is an old type of file so we converted them to Microsoft Word so they can be edited and viewed easily on modern computers..